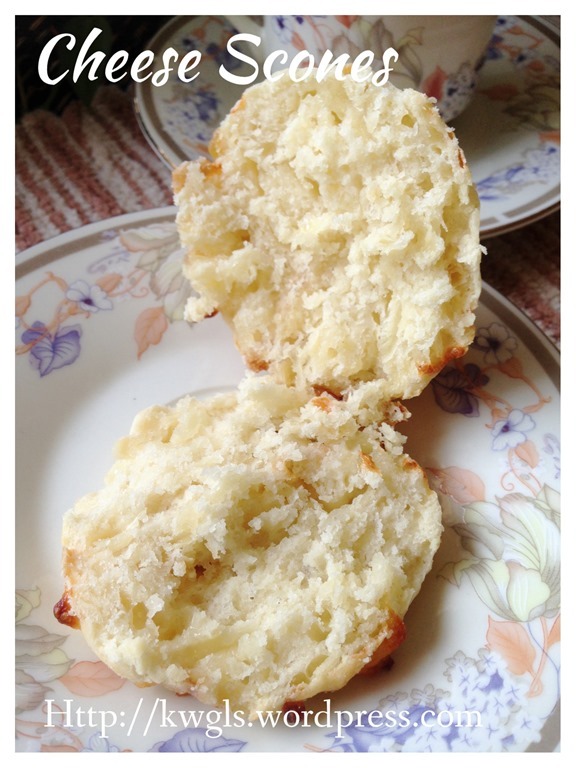 This scone is cheesy and savoury … It can be eaten plain as a snack or can be eaten with a thick slab of butter on it.. 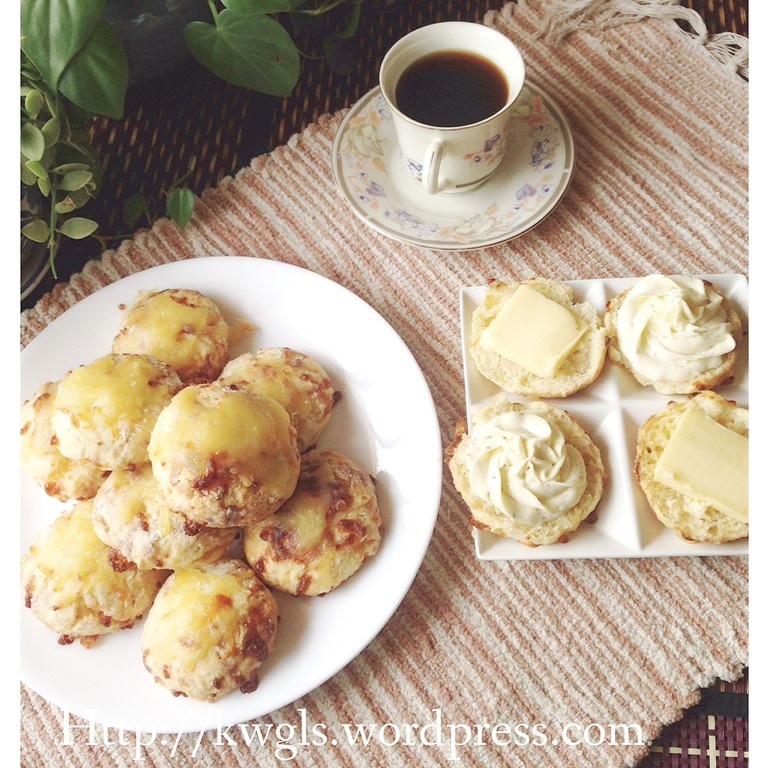 I love this scone for its cheesy flavour, slightly salty because of the cheese inside and I have regretted not adding bacon bits to the scones.. 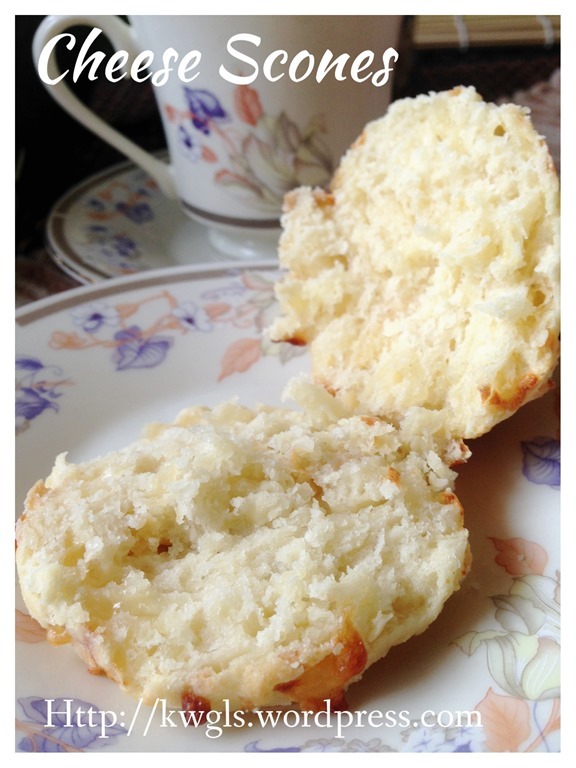 I love this scone because it is easy to prepare. No mixer shall be required but only 2 bowls, one for dry ingredients and one for wet ingredients, mix, mould and bake. 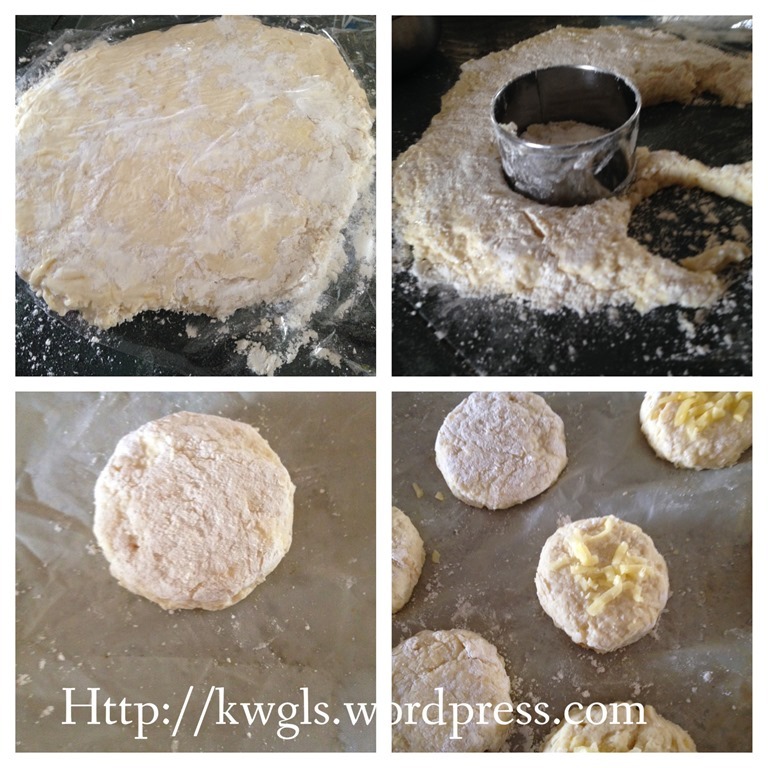 I also love this scone for its short baking time, about 12-15 minutes.. The slightly brownish bit in the scone is because of the exposed cheeses and I have added additional cheeses on top of the scones in the very last minutes.. I prepared some herbs cream cheese by creaming some cream cheese and oregano and used this as a spread.. Therefore, effectively, this scone is cheese overdose..
Pre-heat the oven to 220 degree Celsius and lightly greased a baking tray with baking paper. In a bowl, add all butter, self raising flour, baking powder and dry mustard. 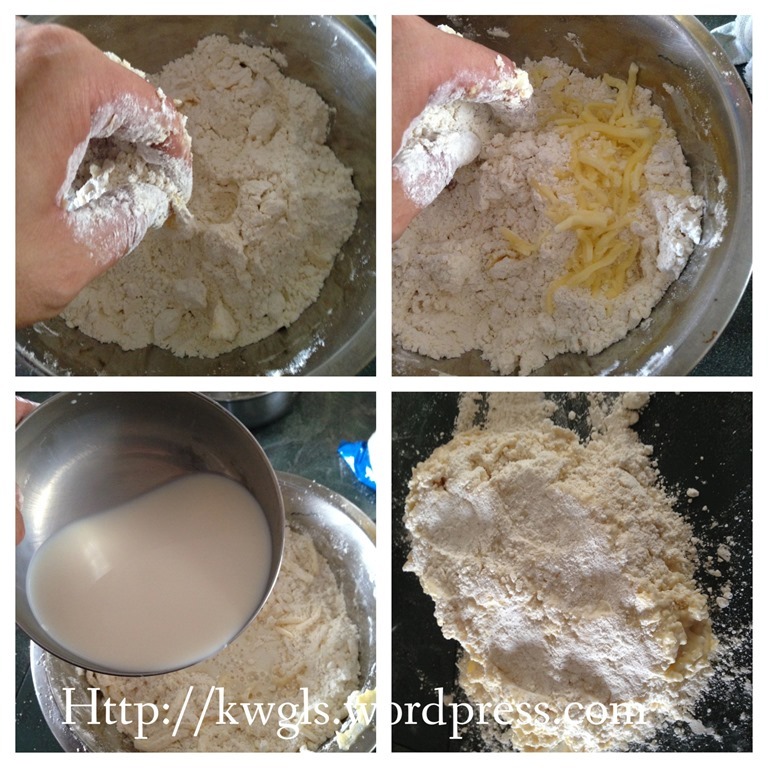 Use the finger tips to rub the butter and flour until it resemble a bread crumbs structure.. Add in the cheeses and use hand stir until well mixed and cheese are not lumpy. Make a well in the centre, add the cold milk gradually. Use a knife or fork to mix the dough until it forms a clump. (Depending on the flour absorbing properties, you may not need all the milk). Transfer the dough into a lightly floured surface. If the dough is too sticky, put a clingy wrap on top of the dough, lightly PAT (not kneading) until it is about 2 cm thick.. Use a 5 cm round cutter to cut into rounds. Gather the trimmings and cut more rounds. Transfer to the baking tray and sprinkle cheeses on top if desired. Bake in the pre-heated oven of 12-15 minutes or until risen and golden brown. Best served hot when warm. Suggested to serve with cream cheese or slab of butter. A simple recipe and when preparing scones, one thing to remember is not to over handle the dough.. Like muffins, light handling and lumpy dough is acceptable. If your scones is tough and chewy, it basically means that you have overworked the dough. Do give it a try and see if this suits your taste bud. (updated as at 26 November 2014) here and you can follow me at PINTEREST or visit the blog’s FACEBOOK PAGE to keep abreast of my future posts. 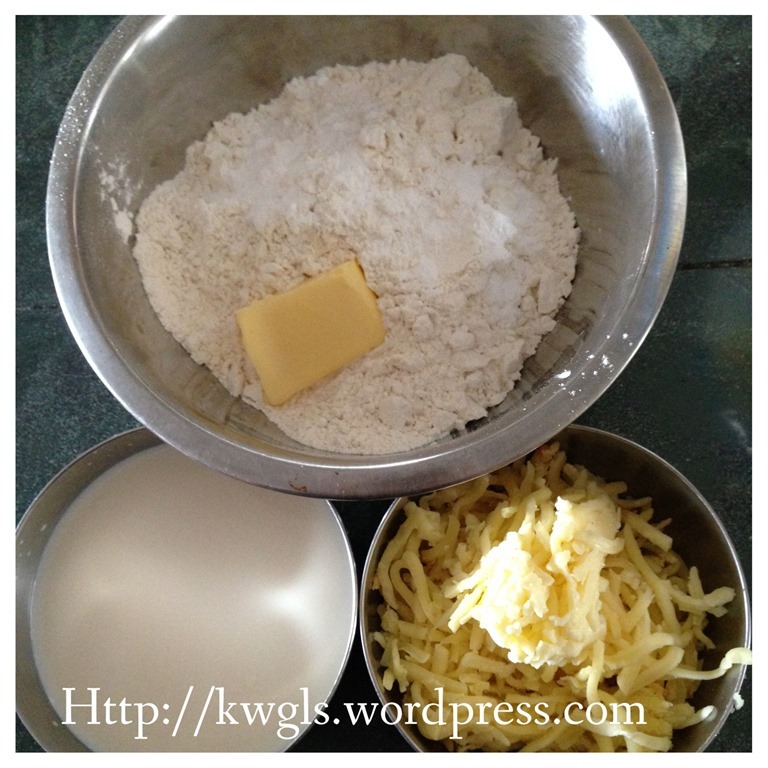 This entry was posted in Cakes and cookies, Food Preparation Series and tagged 8, Cheese Scones, 芝士司康饼, GUAI SHU SHU, Guaishushu, kenneth goh, postaday. Bookmark the permalink.